Dazzle her senses with this indulgent display of your true romance! Deep red roses and Gerbera daisies are arranged with white hydrangea in our unique double-walled vase filled with real rose petals! It's an over-the-top statement of your love, and sure to get a real "Wow!" 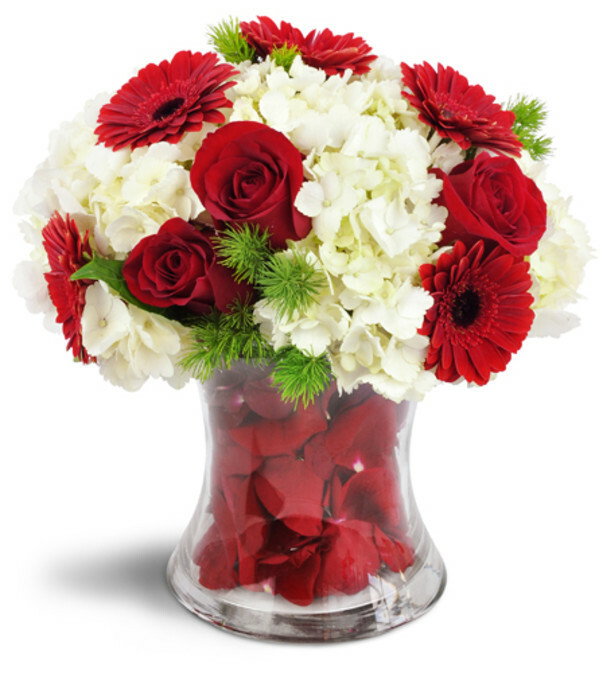 Red roses and red Gerbera daisies are displayed with white hydrangea in our unique double-walled vase, filled with real rose petals! Flowers were very beautiful and very affordable! I am very satisfied and they got my business ! 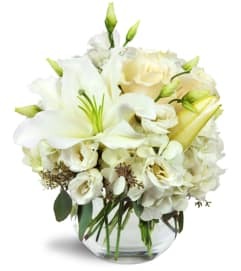 Exotika Floral Designs is a Lovingly Florist in Passaic. Buying local matters. Discover how Lovingly supports local florists. Copyrighted images herein are used with permission by Exotika Floral Designs.